Terran and Protoss forces have created an alliance to defeat the Zerg together, with their main quarters hidden on the desert world Darmeg. Reason enough for the Zerg Matriarch to launch a destructive attack. Terran and Protoss forces have created an alliance to defeat the Zerg together, with their main quarters hidden on the desert world Darmeg. Reason enough for the Zerg Matriarch to launch a destructive attack. 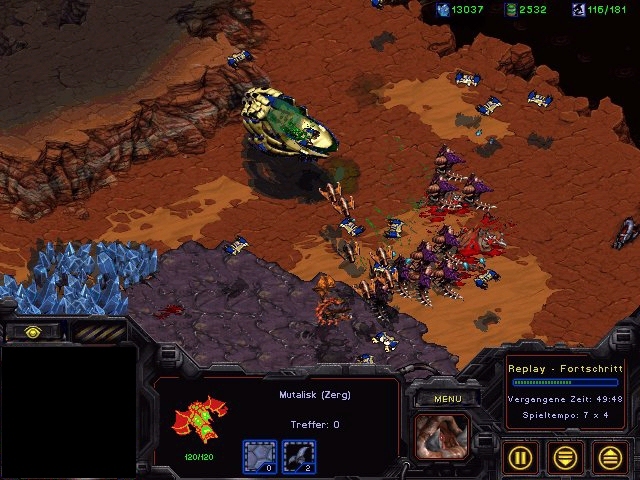 Your mission: Infest as many Terran Command Centers as possible and destroy all Protoss forces. Darmeg Alliance does not only contain three missions with a full plot and exciting action gameplay, but offers you the chance to play in CoOp Mode via LAN or even Battle.net simply using map settings mode. It couldn't be easier to setup. And not (much) more challenging to play. Have fun beating these the computer enemies together!